No news posted for quite a while but we are still going strong. The offers on our website represent superb value for divers, with many customers also chosing to purchase via Amazon and Ebay. A close colleague of the Travelling Diver team, Rohan Andrews, has put together a unique and very special liveaboard trip in the Red Sea, and has offered a few places to Travelling Diver news subscribers. Departs on the 15th June 2012. This custom designed trip is a genuinely unique opportunity and covers the very best the Red Sea can offer during this time of year. It will include a wide range of dive sites, superb diversity and some stunning dive experiences. I’ve never seen this combination before and it really does cherry pick the very best liveaboard diving experience from the Red Sea. Prices are from approx £1,000 with flights from Manchester and Gatwick. With spring rapidly approaching, we wouild like to wish all of our customers a safe and enjoyable upcoming diving season. We have had a very good year so far and have restocked the warehouse over the winter to make sure that we can maintain our high standards for customer service - so order your diving guide or blank refill in complete confidence. OK - not strictly Travelling Diver news, but it is something rather special... We would like to wish both Kate and William our congratulations and the best of luck for their life together. Our popular blank logbook refill's are now available in Bulk-Packs, at a 40% off saving. Get ready for this years diving by stocking up and take advantage of this deal while you can! The rss feed for Scuba News is now online on the Travelling Diver 'Latest News' page. This new feature will allow Travelling Diver readers to keep up to date with not ony TD news, but also general diving and marine related news and information....and it's FREE. Travelling Diver will soon be providing FREE (scuba) diving news via the 'Scuba News' RSS feed. Keep an eye on this news page to see the latest news from both Travelling Diver, and Scuba News - perfect for keeping you updated on diving news!! With events looking like they are settling down in Egypt, we have been informed by the British-Egypt Chamber of Commerce, that businesses have been getting back to work - and this includes the diving industry. We are currently watching the demonstrations which are being held accross Egypt and other parts of the Middle East, with close interest. The British Foreign Office is issuing advice to travellers, including holidaymakers in resorts such as Sharm el Sheikh, and we strongly urge all of our divers in the region to heed this advice. December 2010 Happy Christmas !! From all at Travelling Diver, we wish one-and-all a happy holiday period and a wonderful New Year (with lots of safe and fun diving) !! We would like to thank all of our customers who have purchased the Blank Log Refill's over the last few months, making them, by volume, our most popular line. Following Travelling Diver's cover gift on the front of DIVER magazine, you will find us on page 76 of this month's copy. We have teamed up with LUMINOX to offer you a chance to win an amazing world-class dive watch for yourself and a friend FREE. Simply register on the Travelling Diver website for your chance to win !! For more chances to win, tell your friends to register also. If they win, so do you. Luminox are world renowned for their quality and visibility, and loved for its style. Luminox watches are trusted by divers around the world for their ability to continue working under pressure. In fact, their first dive watch was created for the US Navy SEALs. The winner(s) of this free draw may choose between the latest military-spec Luminox watches, the 'Blackout' or (ladies) 'Colourmark'. Pop down to your local newsagents for your FREE Travelling Diver cover gift on this months DIVER magazine. Attached to the front cover is an exclusive TD Taster Edition, with a small selection of dive sites and a sample logbook refill. If you have not seen the Travelling Diver guides for yourself, find out more with your FREE gift. Available at newstands accross the country. With popularity of the Travelling Diver Blank Log Refill's at an all time high, our warehouse was releaved to take delivery of a fresh batch from production. In addition to the fresh delivery of blank refill's, we have been back to the presses with a special collaboration with our friends at Luminox Watches, for DIVER magazine. We are in discussions with Diver Magazine and Luminox watches to put together something special for readers and the website users. See us in the latest edition of Dive magazine, where we have launched the news of our latest sale. Against the backdrop of our politicians telling us the UK has exited the recession by 0.1%, we are delighted to launch our first EVER sale on the Travelling Diver website. See us in January's edition of Diver magazine, next to the article about different diving areas of the Egyptian Red Sea. See us in January's issue of Diver magazine. See the first ever Travelling Diver video on YouTube. This first video looks at installing the guides in your log binder. With the recession biting, Travelling Diver has teamed up with TDI and SDI UK to with a very special offer for our customers. Buy any Travelling Diver guide, and get a £15 voucher for TDI and SDI training. (yes, spend £12.50 and get back a £15 voucher and the guide of your choice, hmmm, pretty good we think..!! Here at the Travelling Diver offices we have had some great news. The diver training organisation, Scuba Diving International (SDI) have awarded Travelling Diver guides their first ever official stamp of recommendation...seems they really like the guides...!! For more information about SDI, click here. ...and the recommendations go even further. The world leading provider of technical diver training, TDI, have announced that they are also officially endorsing Travelling Diver guides. Tremendous news from such a prestigious organisation. Many thanks TDI. For more information about TDI, click here. Blue Flipper Diving have awarded the Travelling Diver guides their official stamp of recommendation. They recently took Travelling Diver guides on a trip to Marsa Alam and were so impressed that as soon as they returned, they started to distribute the guides for their own readers. Thank you Blue Flipper. In advance of the upcoming launch of the new El Gouna guide at the Ocean Leisure retail shop in London, (click here for directions) on Saturday 13 December, we are delighted to release a sneak preview of the front cover of the guide. The guide covers the top 16 sites dived from the resort and features the Travelling Diver integrated logbook format. Don't forget, signed copies will be available at the launch in London by author Rik Vercoe. Travelling Diver are launching their next diving guide, that to El Gouna, at a special event at the Ocean Leisure retail shop in London, on Saturday December 13. Author Rik Vercoe will be signing copies, making them a unique and great Christmas gift for divers. The El Gouna guide features the popular logbook integtated format, and focusses on the dive sites of this increasingly popular resort on Egypt's Red Sea coast. Travelling Diver are delighted to announce that we have been awarded the official stamp of recommendation by both DiveInternational and ukdiving. In giving this prestigous award, the diving organisations said '...we have been repeatedly impressed with the growing range of diving guides from Travelling Diver... it is easy to see why they have become so popular. ...we have decided to award the entire Travelling Diver range the first ever...official recommendation. Congratulations...' Go to www.diveinternational.net and www.ukdiving.co.uk for more information. Simply print out at home, fill in your details and enjoy even greater Travelling Diver discounts at the show. Stand 1306, Nov 1-2. We are moving !! Nothing drastic though, we will be on stand 1306 at the dive show, not 1114 as previously planned. Don't forget to come and see us there, together on the stand with our sponsors, Luminox Watches. Birmingham NEC, November 1-2. Author Rik Vercoe will be on hand to sign copies on the Saturday. Travelling diver guides are now available at the popular divesitedirectory.com website. Both Daniel Ronen of Travelling Diver, and Matt Slightam of divesitedirectory, are delighted to be working together on this project. Sport Diver magazine have awarded the Travelling Diver range of guides their official stamp of recommendation. This independently awarded recommendation has delighted the TD team as recognition of the detailed effort that has been put into each edition. Thank you Sport Diver. Travelling Diver have teamed up with the makers of the Sea Marshall PLB distress beacon. New registrations will be entered into a prize draw for the chance to win one of these great units which are valued at over £200. Simply register on the Travelling Diver website. Paul Taylor of Cornwall has won a Jotron Dive Strobe in our registration draw. Congratulations Paul !! Fantastic Travelling Diver review in this months Sport Diver magazine. Magazine editor Mark Evans took some advance copies of the latest guide on a liveaboard trip to the Red Sea. Both he and the group on the boat were highly impressed and the TD guides were awarded the 'Sport Diver Recommended' accolate. We are delighted to announce that Travelling Diver will be at the Birmingham Dive Show, 1-2 November. We will be hosted again by our great friends at Luminox Watches, stand 1114, near the Hall 9 entrance. More details to follow. The London Diver Magazine have selected Travelling Diver guides for their 'guinea pig' trial summer and autumn 08. Travelling Diver are the lead feature of the FREE Red Sea Wrecks poster with the July edition of Sport Diver Magazine. Every copy of the magazine comes with this limited edition poster, so grab your copy now. The poster features Rik Vercoe's superb new drawing of the Giannis D shipwreck, together with some of the diving notes and wreck data from the Travelling Diver guides. "An essential addition to any divers logbook - Highly Recommended !" Crusader Travel have launched a very special offer as part of their customer commitment package. They are giving every diver to qualifying Red Sea destinations a FREE Travelling Diver guide to that area. Thank you Crusader Travel. Travelling Diver have teamed up with Jotron to offer divers registering on the www.travellingdiver.com website, the chance to win FREE one of the world famous AQ-4 dive strobes. Rated to 300m, this is possibly the best dive strobe in the world. Just register for your chance to win - its that simple. Congratulations to Paul Taylor for winning our Luminox sponsored dive show competition, held at the London International Dive Show, 8/9 March, ExCel. He wins a US Navy SEAL endorsed Luminox diving watch, from our dive show sponsors, Luminox UK. Travelling Diver was at the London International Dive Show on 8/9 March, and had a hugely successful exhibition. Exhibiting in conjunction with our sponsor, Luminox Watches, we were able to offer our visitors some really special offers and prizes. It was wonderful to meet so many people and see the enthusiasm the new guides generated. Additionally, those who came along to the stand enjoyed some great discounts and our Luminox / Dive Guide competition - winner to be announced shortly. Many hundreds of people asked to join the Travelling Diver newsletter and of course, Rik Vercoe was on hand to sign copies of the new Sharm el Sheikh and Hurghada diving guides which were officially launched at the show. Photo courtesy of Sport Diver magazine. The hotly anticipated guide to Sharm el Sheikh was successfully launched at the London International Dive Show by Daniel Ronen and Rik Vercoe, the author. This guide to one of the most popular diving areas in the world, is the culmination of many years of experience and work, and author Rik Vercoe has created something truly special. It contains all of the key information and maps a travelling diver needs to enjoy and record their experiences of this most popular of diving destinations. Included are details of the world famous Ras Mohammad, Straits of Tiran and the SS Thistlegorm, amongst many others. This guide is stunning and has to be seen to be believed !! The long awaited guide to Egypts' Hurghada was launched at LIDS in early March. Hurghada is a world class diving destination and offers a wide variety of diving experiences on its many sites. This comprehensive guide is the essential companion for anyone wishing to dive the area, and contains the popular Travelling Diver logbook format, together with details of the top 16 dive sites of the region. Those coming to the London diving show 8/9 March can get further discounts using the offer voucher. After a period of intense development, with various version updates, inspection reviews, technical and language proofs, the Travelling Diver guides to Sharm el Sheikh and Hurghada have been sent to print. Author Rik Vercoe was on hand for quality inspection, to make sure these guides live up to the promise of being the best yet!! Expect them to be available within the next two weeks on this site. The hurghada guide will be sent to the presses in time for the London dive show. This looks like it is going to be the best guide yet... You have got to see Rik's drawings - simply stunning!! Sharm el Sheikh is now at the final review stage. We have been working into the small hours on this guide, to get it ready for those of you who have been asking for it these last few months. If you are going to Sharm el Sheikh this year - this is the guide for you! Available early March. We are delighted to announce Stella has joined the team as a technical reviewer. With over 2500 dives the Red Sea, she certainly knows the waters and is helping us make sure each and every guide is completely accurate and trustworthy. Welcome aboard. Come and see us at the dive show in London's ExCel centre on March 8 / 9. We are being hosted by our good friends and sponsors Luminox Watches, at stand 480 - back wall, on the left (near the bar). We are really looking forward to meeting more of our customers, so please do come along. There will be some big competitions and dive show special offers. Don't miss out. We are delighted to announce the launch of our latest guide, that to Egypt's Safaga. It is available now at the online shop. Following numerous customer requests, development has now been started on a guide to Egypt's popular Hurghada area. Headed up by Rik Vercoe, this looks like it will be the best yet!! Newsletter subscribers (go to registration) will see a sneak preview of one of the site drawings - absolutely stunning!! With the Safaga guide almost complete, we are delighted to give a sneak preview of some of the sites and the front cover. The guide includes: Panorama, Abu Kafan, Salem Express, Um Hal Hal, Al Kahfain, Middle Reef, Ras Abu Soma, and another 11 key sites of this under-explored area of hidden treasures. Development of the diving guide to Safaga in Egypt has progressed well and has reached review stage. We shall post here when we have an avaliability date. Following the highly successful launch of the Egyptian Travelling Diver guides, we are delighted to announce development has now been started on guides for the Maltese islands, and Egypts Hurghada and offshore island safari. The Marsa Alam guide is now avaliable for purchase in selected dive centres in the Marsa Alam region. These include Pioneer Divers at the Caromana hotel and the Red Sea Diving Safari at Marsa Shagra. 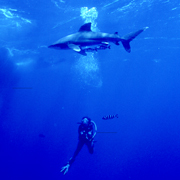 Development of the next diving guide in the Travelling Diver series, has reached a key milestone. 'The diving guide to Safaga, on Egypt's Red Sea coast, is slightly slightly ahead of schedule', says Daniel Ronen, CEO, 'we are delighted with the progress and divers should see the results of this guide in the next few weeks'. Keep checking the site for more information or register and we will let you know when it is available. Travelling Diver welcomes the new Northern Red Sea Wrecks edition, in which divers will get the opportunity to experience the thrill of learning about the many ship wrecks to be found in the Northern Red Sea’s waters, as well the history of the sites, intricate maps and detailed diving notes pertaining to individual wrecks sites. Some of the wreck sites included are the famous Thistlegorm, Ulysses and Dunraven. The guide has been awarded the first official recommendation ever given by the Nautical Archaeolgy Society - a real honour and achievement.